Is it too late to change a horse? TPLF splinters. It has been 16 years now since the down fall of brutal Derg regime. Then after, EPRDF assumed power and hit the road with dedication and determination to give a comprehensive political solution to all the problems, including the right of nation and nationalities. It was, however, expected to be difficult for these relatively young and inexperienced EPRDF leaders to lead the country. As we all know, the Horn of Africa is most complex and sensitive region in which there have been decades of conflicts in Somalia, Sudan and Ethiopia. Moreover, it is, also, found in the strategically important place as it is near to the Red Sea shipping lines connecting Mediterranean Sea to Indian Ocean. Nonetheless, most of us in the party believed there should be economic and political change as our leaders determined to work hard towards that goal. Any way, the split came as surprise for most of the rank and file of the party members as both the dissidents and the Palace group appeared to be united for their causes. I, myself, as a party member did not observe any difference in almost every single issue among the party leaders before it became obvious. Working late in my office, I was called by one of the dissident wife and it was almost 6pm when we started driving to the Radio Fana’s office. She asked the person in the office to leave so that we could have private discussion. She briefed me what was going on deep in side the party and what caused the split. I was hit by surprise and tried to call my friends to discuss the issue after the two people meeting. From a day one, the captured of Asmara, Shaibia targeted Ethiopian and forced them to go home and treated them inhumanly. I remembered Mr. Siye Abraha was asked about this issue in one of the local radio and he replied defensively that it was the right of Shaibia to do so. In different times we heard some party leaders, including the prime minister, defending Shaibia action. These leaders were on the same line or some times spoke exactly the same language on Eritrean issues. However, the split became a reality and we reluctantly accepted it. What went wrong? Something real was happened. I hope the public may know the real cause of the split soon as participants are becoming open and speak their mind. So, we expect more from the splinters and even the ruling party to tell us the real cause of the split. Ethiopian people have the right to get the fact and demand the truth. Eritrean said yes for independence in the so called “free” referendum in 1993. However, right from the start they were confronted with enormous problems as their economy was so weak to support the governmental institutions. Paradoxically, in the wake of these economic crises, Eritrean decided to maintain and develop their military capacity for some reason. They established very big military institutions, like Sawa, and building Air Force from the scratch. These were very expensive ventures which needed a lot of money and expertise to function. It was during this time Eritrean wanted an illegal benefits from Ethiopia to finance their military investment so that to help them invade Ethiopia. They had benefited by participating in Ethiopian hard currency market. They dumped their transit goods into the market to evade taxes. They asked a higher port and refinery fees. On the other side of the border, thousand of TPLF fighters have been demobilized in the name of replacing them with recruits of other nationalities. There was no a major disagreement on this issue as the army had to comprise recruits from all nationalities as much as possible. However, the timing was not right as the enemy organized its money and effort to destabilize Ethiopia. In 1997, Eritrea introduced its new currency, Nakfa, and demanded Nikifa be traded at parity with Ethiopian Birr. Surprisingly, they even wanted the currency to work in Ethiopia as a legal tender. For some reason, the move resulted in a strong protest from Ethiopian government. Consequently, Ethiopia quitted using Asab port. This situation created a pressure on Eritrean economy which eventually led to a high inflation and problems with food supply in Eritrea. As a result, tensions between the two countries increased and finally led to the long waited Eritrean invasion in Northern Ethiopia. This was blessing in a disguise as most of us learned the determination of Shaibia to destroy our country after the war. Latter on, perhaps as a direct impact of the incident, the opinion of most of Ethiopian converge into a single point that Ethiopia need to have an access to Sea. Moreover, some of previous TPLF leaders acknowledged that a mistake was made in handling the Eritrean issue during referendum. Recently, we have observed a change in Ethiopian political area. The most expected political opposition, CUD, has been broken down in to groups. Some of the TPLF dissidents have tried to come back into politics after a number of years. For good or bad, there have been unique developments in Ethiopian politics. Mr. Siye and Mr. Gebru are the out spoken critics of the ruling party, among the number of TPLF dissident. As we have learned from different media out lets, Mr. Siye and Mr. Gebru acknowledged that they made a mistake when they handled Eritrean issue and the democratic process in Ethiopia. It was not too late to take responsibilities for what they did and honestly move to correct the mistake. This was good news for the country. They have to assess why their action was right then, and a mistake now. The people deserve to know ever detail and how would gona be solved. In politics trustworthiness is very essential and they should show the people that they are different individuals in their political stand than before. For most of us in Diaspora, the 2008 presidential election, in USA, is a good opportunity to learn a lot from the process. Almost all candidates emphasized in changes and hope when trying to persuade the electorate to choose them in the nation’s primary. For us we need far more than a change to build the democratic process. In January 5, 2008 Mr. Siye discussed politics with Ethiopian in Diaspora, in Virgina. Ethiopians from all Nationalities were gathered in the Hotel’s conference room to hear from previous TPLF official. Unfortunately, I could not get a chance to participate in the meeting. However, from my friends and Ethiopian web site, Siye did a good job in answering questions patiently. Mr. Siye was known for his in ability to speak politely. When he spoke to people, before, he was a little bit aggressive and commanding. I thought the situation helped him to shape himself to be a good politician. He preached a ‘new thinking’ is a solution to Ethiopian political problem. He also emphasized in engagement, tolerance and respect to each other. He advised that Ethiopians must reject the politics of division, listening to one another with respect and resolve differences through reasoned dialogue. He also said that the current government is increasingly becoming tyrannical and his freedom is not complete. He also plainly admitted that he have participated in a mistaken decisions when he was in one of the top job of the country. 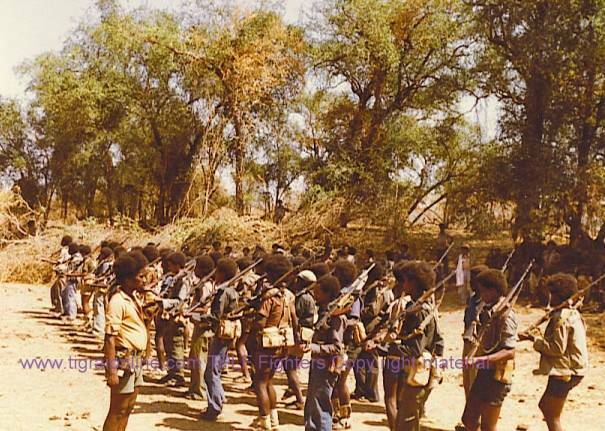 The war against Eritrea was stopped short of its objective to destroy Shaibia. Had he allowed finishing the job, there should have been different situations on the ground now. All these rhetoric are not bad by themselves. However, we need more than these sweet political words. The politician has to show that they are for the country and people not for themselves. The politician has to work hard to prove that they are trustworthy. Mr. Siye seemed to have an intention of forming a national party. However, Mr. Gebru has already organized an ethnic based party. This may not help the staggering Ethiopian oppositions. We definitely need a strong opposition. Hence, in this regard Mr. Siye’s way seems viable.